Swaged nippolets are made of high quality inconel. Offered in various technical specifications, these swaged nippolets have high resistant to oxidation and carburization. 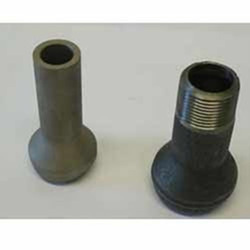 Moreover, these socketweld fitting products have excellent weldability. The sewaged nippolets find ample usage in high end fabrication and engineering projects. We are leading supplier of Swaged Nippolets. Under deep acceptance with the laid down policies and firm standards of our company, we have been highly engrossed in the delivery of Swaged Nippolets. Our offered merchandises are being brought forward at a highly convenient and graded market rate. We supply Swaged Nippolets (3000 #) made of superior quality Stainless Steel. The Steel Swaged Nippolets offer optimum performance, durability and abrasion resistant. 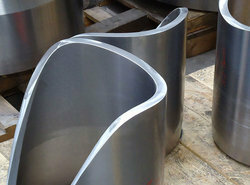 We have Stainless Steel Swaged Nippolets in various shapes and sizes to supply for diverse industrial applications. Nipolet : 1/2 to 24 in 3000 LBS, 6000 LBS, 9000 LBS available with NACE MR 01-75. Swaged nippolets are available in different technical specifications and have extremely high resistance to carburization & oxidation. These nippolets have good weldability also. Made from supreme quality of stainless steel & have their usage in engineering projects and in fabrication industry.